All climbs are on public land, or land where the public is allowed to hike. Some peaks are reached by a road. Access via road does not count. Summits or mountains close to each other and along the same route are described together. Focus is on those mountains with significant views, as compared to narrow views through trees. People may be surprised to learn that vertical climbs in Pennsylvania reach 1,600 – 1,700 feet, comparable to some mountains in New York and New England. Summit elevations and vertical climbs are estimates. For some off-trail or little-known vistas, GPS coordinates from Google maps are included. Route: Trails from T602, off of PA 447. This is a conservancy property opened to the public. 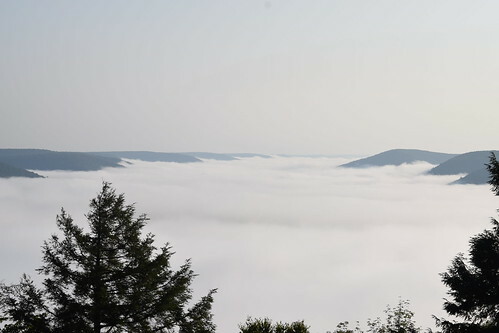 Feature: Views of Pocono foothills with view through the Delaware Water Gap. Route: Trails from North Rd. Route: Follow Appalachian Trail from Mountain Rd. Route: Off trail hike from Highbridge Rd. Route: Trails from Dunmore Reservoir No. 1. Feature: Expansive views from an exposed ridge and High Rock cliff. Location: Near Dunmore, Lackawanna County. Located on a private preserve, but public hiking is allowed. Feature: Good views to the west. Route: Hike gated game commission road to the summit. View is located almost a mile south of the summit. Gate is open during hunting season. Feature: Superb view to the east from cliffs. Road to summit: Yes, but not to view. Road only open during hunting season, gated at bottom rest of the year. Route: Appalachian Trail, other trails from Old Forge Rd. Route: Appalachian Trail from Reservoir Rd. Feature: Extensive views over farmlands and mountain ridges. Cave beneath the Pinnacle. Route: Appalachian Trail from Inn Rd. Route: Trails from PA 87, loop hike is possible. 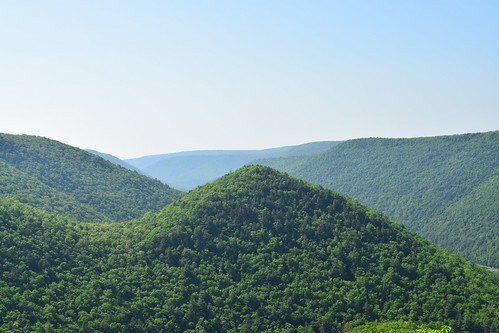 Feature: View of the Loyalsock Canyon and unique rock outcrops are behind the vista. Feature: Impressive view. Pass a pond on the hike up. Feature: Fine view looking up Mehoopany Creek gorge. Vertical climb: Between 1,546 and 846 vertical feet depending on route taken. Feature: View at summit from ski area. PA’s highest peak and second highest mountain. Location: Blue Knob State Park, Bedford County. Road to summit: Yes, but is gated before it reaches the top. Route: Use the Old Loggers Path from Pleasant Stream Road. No bridge across Pleasant Stream, do not attempt in high water. Feature: Beautiful view that is largely undeveloped. Route: Loyalsock Trail from PA 87 or Little Bear Creek Road. Route: Old Loggers Path from Pleasant Stream Road. Feature: Views to the south and west from cliffs. Vertical climb: 600 from Jacks Mtn Rd. 1,700 from Mapleton, a long, challenging hike along the Standing Stone Trail. Feature: Incredible staircases of rock steps, non-stop views, historical features. Last view is at Shorb’s Summit. Route: Standing Stone Trail from Frew Rd. Feature: Firetower that has superb views if it is open. Route: Golden Eagle Trail. While the view is not near the top of the mountain, it is impressive. 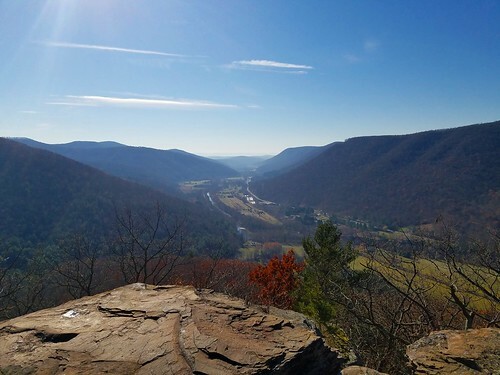 Feature: Impressive view of Pine Creek Gorge region. Route: Steep trail. Use trails from Naval Run Rd. 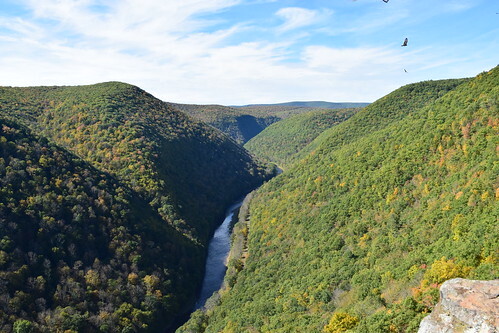 Feature: Views of Pine Creek Gorge. Some claim to be one the largest drops from the mountain directly down to Pine Creek itself. Route: Trails, including the Black Forest Trail, from Naval Run Rd. Feature: Summit features three vistas, one looking south is particularly impressive. Route: Use trails from Camp Susque. Public is allowed to use trail from Camp Susque, but sign in first. 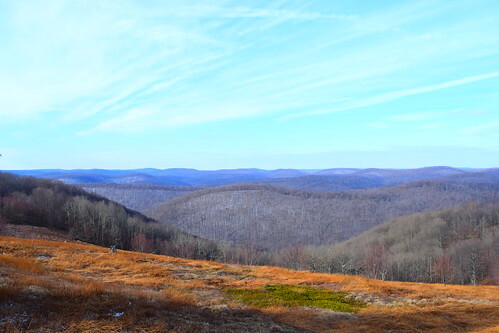 Feature: Impressive view looking down the Lycoming Creek Valley. View is not near the top of the mountain, but its impressive nonetheless. Route: Trail from PA 14. Most of this hike is in the Loyalsock State Forest, but check in with Camp Susque first. Vertical climb: 400 from Red Ridge Rd. 800 from Susquehannock Trail along Hammersley Fork; this is a bushwhack along a ridge with many impressive views. Route: Easiest route is along Twin Sisters Trail from Red Ridge Rd. Feature: Mountaintop meadows with stunning wilderness vistas. Stars are incredible at night. Route: Bushwhack from Raver’s Gap Rd. up Ravers Run to summit. Feature: Vistas are from talus slopes near summit, looking north. Vistas are undocumented. Additional vistas on west flank of ridge. Route: Established, unblazed trail from Pine Creek Rail Trail where it crosses Pine Island Run. Very steep climb. 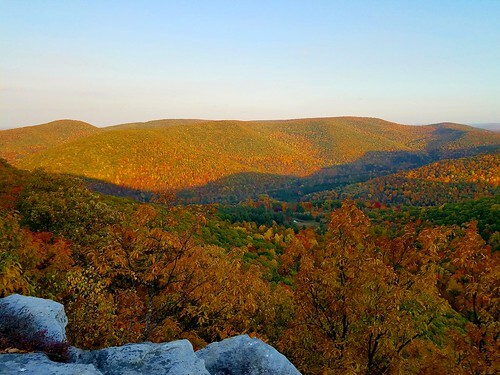 Feature: Phenomenal vista of the PA Grand Canyon/Pine Creek Gorge. Vista is not at the top of the gorge. Feature: Views of the Allegheny Reservoir and National Forest. Impressive cliffs and rock features. Location: Allegheny National Forest, east of Warren, Warren County. Vertical climb: 400Route: Trails from South Wolf Rock Rd. Feature: Observation tower with views. Highest point in PA. 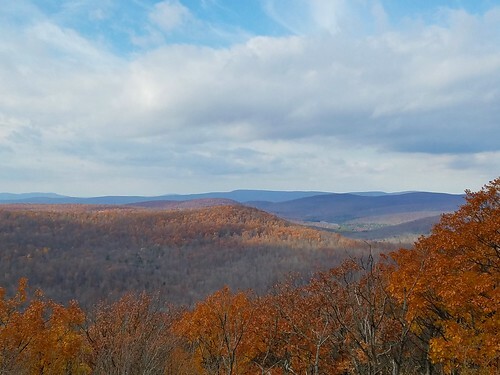 Feature: Views, highest point in the ridge and valley region of PA. Location: Bedford County, PA, south of Rainsburg. In the Buchanan State Forest. This entry was posted in Uncategorized and tagged climbing, Hiking, mountains, peaks, pennsylvania, vistas by endlessmountains. Bookmark the permalink.